The application process for a commercial driver’s license may include additional forms, fees, identity documents, and other information at the discretion of the individual state. Some states have additional requirements or allotments, such as Florida's Class E license affording a driver experience prior to gaining a Class A. However, there are minimum federal guidelines as designated by the FMCSA in order to gain a CDL. Once you’ve met these prerequisites, it’s time to apply for the trucking job of your dreams. But did you know that reputable hiring companies will likely run a background check on you before hiring you? While some believe that these background checks may prove to be problematic in helping decrease the turnover rate so prevalent in the trucking community, others feel it is crucial to ensure only the safest operators are on the road. In any case, the following is what a driver can expect before hopping into a cab for your job. There is no specified form to be used in an application for employment. Carriers may develop their own forms, which may be tailored to their specific needs. However, the application form must, at the minimum, contain the information specified in §391.21(b). The FMCSA parameters for applying for employment as a commercial truck driver are very specific. A motor carrier may require an applicant to provide supplementary materials in addition to the information required. One can see by even the minimum requirements that an application to drive a commercial motor vehicle is not taken lightly. Fleets who are willing to lend their equipment to drivers on busy roads in Texas, for example, are not going to allow anyone they deem unqualified operate their trucks. Companies can spend thousands of dollars if their drivers are involved in accidents and if they had prior negative driving records or were not properly licensed. Once you obtain a CLP and then a CDL, the process of evaluating an applicant’s driving history continues when they apply for a specific truck driving job with a motor carrier. Most frequently, carriers turn to the Pre-Employment Screening Program (PSP) program. The PSP allows trucking companies, individual drivers, and industry service providers (ISP) access to commercial drivers' safety records from the FMCSA’s Motor Carrier Management Information System (MCMIS). Developing a procedure that makes safety performance information available electronically for pre-employment screening purposes was mandated by Congress. The FMCSA believes that making this driver data available to potential employers, ISP, and drivers will both improve driving safety and help employers make more informed decisions when hiring commercial drivers. For states such as California where opportunities are abundant and frequent, many feel is crucial to have a program in place that allows for the best hiring practices available. A PSP record contains a driver’s the most recent five years of crash data and the most recent three years of roadside inspection data from the federal database. A PSP record displays the trucking company that the driver was working for at the time of a crash or inspection. It also shows the location and date that the crash or inspection occurred as well as injuries, fatalities, and tow-aways. The record displays a snapshot in time, based on the most recent MCMIS data uploaded to the PSP system. Why Do Employers Use a PSP Report? A carrier obtaining a PSP record on a potential hire is similar to an employer doing a reference check for any prospective employee. It offers information to the business owner to hire the best person for the job while offering insight in hiring employees who care about quality and work performance. It is important to review your PSP report as an individual driver to stay on top of your statistics. Research demonstrates that a driver with an excellent PSP record results in fewer potential driver issues and better performance. The FMCSA conducted a study to evaluate PSP's safety impact on the industry. The results revealed that companies who regularly use the PSP information have reduced their crash rates on average by eight percent and their driver out-of-service rates by 17%. So you can see the advantage of pre-screening candidates using the PSP report. As a reminder, any trucking company or carrier requesting a PSP report must have the driver’s consent and authorization. And carriers may only request PSP records solely for the purpose of conducting pre-employment screening. As mentioned, a PSP record is a federal government database. But there is another tool employers can use called the Motor Vehicle Record (MVR). The MVR is generated by state sources, not through a federal database. Both the PSP and MVR are important sources of data that owners consider when hiring a commercial driver. In some states such as Nebraska, a driver's convictions for driving under the influence of drugs or alcohol can be found only on one's MVR review as opposed to one's criminal record. Even after hiring, the trucking company’s obligations to safety and compliance continue. The FMCSA requires carriers to perform an annual background check and inquiry to review driving records for their employees. It is the carrier’s responsibility to determine whether that driver meets minimum requirements for safe driving or is disqualified from driving a commercial motor vehicle. This relates to the driver’s score. The CSA program is designed to improve the overall safety of CMVs by making both motor carriers and drivers accountable for their respective roles in safety. Employment as a commercial truck driver involves significant responsibility for both the carrier and the driver. 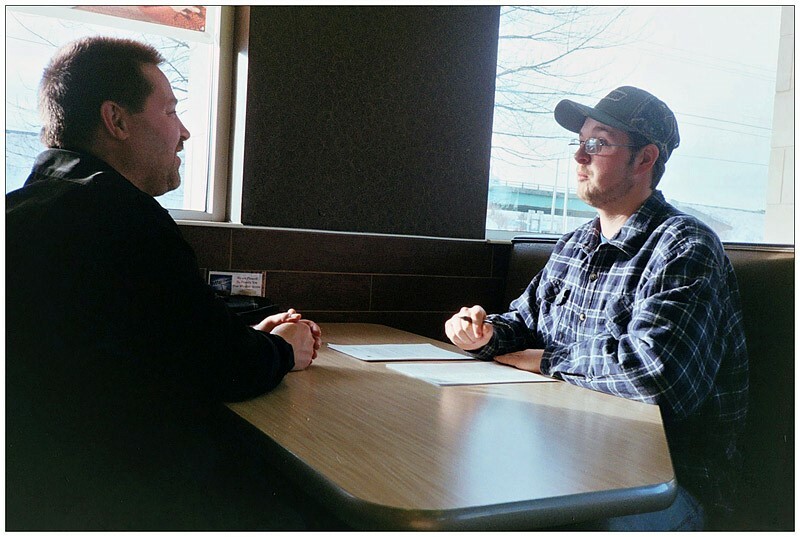 Pre-screening applicants allows employers to determine how safety-conscious a potential driver will be in their trucker job. Both the CSA scores and perhaps even more importantly, the PSP information, impact an applicant’s ability to find a driving position. Knowing that prospective carriers will be reviewing and vetting driving data when applying for a job, it behooves drivers to take every precaution to maintain a clean and immaculate driving record.